Highlights of 29th GST Council Meeting – Neeraj Bhagat & Co. The GST Council has recommended cashback of 20% of GST paid on B2C transactions subject to the maximum amount of Rs. 100 per transaction. The payment of GST shall be made through BHIM Application and RuPay cards. This decision will boost digital transactions and cashless economy. The GST Council has decided to constitute a sub-committee to review the concerns of MSMEs on various tax and compliance related issues. The West Bengal Finance Minister said that the group of ministers will look into all proposals to give relief to MSMEs with turnover of upto Rs. 1.5 crores from the central GST (CGST). This would restore the excise duty exemption available to small businesses in the pre-GST regime. On August 9, 2018 the Lok Sabha has passed the GST Amendment Bill, 2018. The Bill provides for more than 40 amendments to the GST Act. These amendments aim to simplify the GST law and to ensure administrative convenience for the Small and Medium Enterprises. These amendments shall come into force form such date as the Central Govt. may announce those through notification in the Official Gazette. Here is an insight into all significant amendments as passed by the Lok Sabha. Government has granted permission to affix an additional sticker for declaring the reduced MRP on the pre-packaged commodities. However, the earlier labeling/ sticker of MRP will continue to be visible. This relaxation will be applicable in the case of unsold stocks manufactured/ packed/ imported where the MRP would reduce due to reduction in the rate of GST w.e.f. 27th July, 2018. This order shall be applicable upto 31st December, 2018. The return in FORM GSTR-3B of the said rules for each of the months from July, 2018 to March, 2019 shall be furnished electronically through the common portal, on or before the twentieth day of the month succeeding such month.Payment of taxes for discharge of tax liability as per FORM GSTR-3B.– Every registered person furnishing the return in FORM GSTR-3B of the said rules shall, subject to the provisions of section 49 of the said Act, discharge his liability towards tax, interest, penalty, fees or any other amount payable under the said Act by debiting the electronic cash ledger or electronic credit ledger, as the case may be, not later than the last date, as specified in the first paragraph, on which he is required to furnish the said return.Further, the Govt. has extended the due date of filing GSTR-1 for the months of July, 2018 to March, 2019 to 11th day of the next month for taxpayers having turnover above Rs. 1.5 crore. Foreign funds are reluctant to disclose their ultimate beneficial owners (UBOs) to the Indian regulator. A large number of foreign portfolio investors (FPIs) have voiced reservations to capital market regulator Sebi about naming the UBOs — a new disclosure rule for offshore investors — as it may be onerous, unnecessary, and in many cases amount to a breach of privacy. While Sebi probably believes that persons handling drug or terror money, indulging in sharp practices and violating anti-money laundering rules cannot be allowed to hide behind institutions, the offshore funds think that identifying the ‘last natural person’ or pinpointing ‘control’ can be virtually impossible in many funds. Custodians of foreign portfolio investors (FPIs) as well as industry lobby groups have written to the Securities and Exchange Board of India (Sebi), raising privacy concerns arising out of the regulator’s April 10 circular mandating disclosure of additional information to identify the beneficial owners (BOs). As part of Sebi’s know-your-client (KYC) requirement, FPIs have to disclose BOs’ details such as address, date of birth, tax residency number, social security number and passport number, and they have six months to comply with the directive. 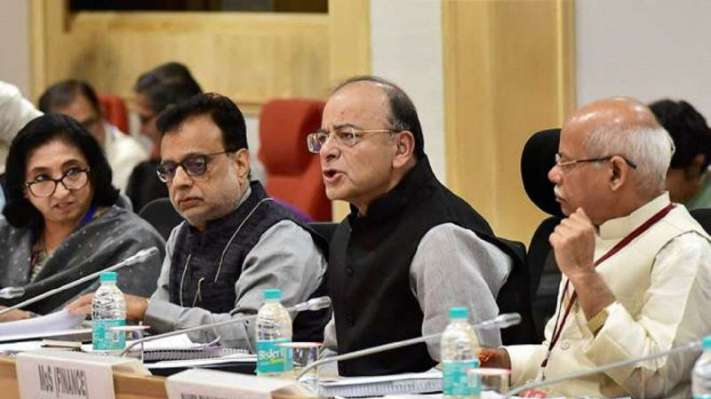 Auto component industry today sought uniform 18 per cent GST across the sector stating that low taxation would lead to better compliance and and larger tax base. The industry, which reported a growth of 18.3 per cent to Rs 3.45 lakh crore in 2017-18, said the lower tax levy would also help in curtailing flourishing of grey operations in the aftermarket. “One of the key demands of the industry has been a uniform 18 per cent GST rate across the auto component sector. Currently 60 per cent of the components attract 18 per cent GST rate, while the rest 40 per cent, majority of which are two-wheelers, and tractor components attract 28 per cent,” ACMA President Nirmal Minda told reporters here.